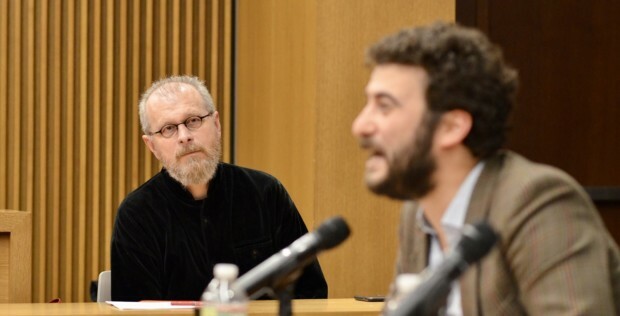 In the fifth installment of its Health Justice Speaker Series, the Yale Jackson Institute for Global Affairs hosted João Biehl to discuss “The Judicialization of the Right to Health in Brazil: Enacting Magical Legalism and Prospecting Biopolitical Futurity” on March 1. Biehl is the Susan Dod Professor of Anthropology and a Faculty Associate of the Woodrow Wilson School of Public and International Affairs at Princeton University, as well as the co-director of Princeton’s Brazil LAB. In his talk, Biehl discussed the rise of judicialization of the right to health, a phenomenon he described as the increase in the number of citizens who “have been seeking, and sometimes realizing, access to treatment through the courts.” The trend, evident in socioeconomic issues internationally, is especially pronounced around health in Latin America. “[As a] major player in the political economy of pharmaceuticals in the global South,” with its universal healthcare system, “offered fertile ground for thinking through the unanticipated ways people mobilized for treatment from the government and the market in context of stark inequality,” Biehl said. .
Brazil’s People’s Constitution of 1988 named health as “the right of all persons and the duty of the state.” According to Biehl, the subsequent establishment of a universal healthcare system that guaranteed free healthcare to all citizens, coupled with the state’s successful AIDS treatment policy, gave rise to the judicialization of the right to health. The practice emerged amid extensive dissatisfaction with Brazil’s overworked healthcare system, with 45% of Brazilians naming health as the country’s principal concern in 2014. Increasing immigration of Venezuela migrants in Brazil and Colombia has only furthered concern over the constitutional right to health. Right-to-health litigation allows for the entrance of diverse voices in public debates concerning different aspects of the right to health. The structure of Brazil’s universal healthcare system, Biel said, was informed by two “concurrent and paradoxical” trends. On one hand was a movement toward a greater recognition of the government’s role in fulfilling social rights; on the other, a trend toward decentralization and privatization of state functions. Moreover, though the federal government assumed the central role in public healthcare funding, municipal governments were left to develop the structures to meet health needs and deliver care. Thus, though Brazil’s health policy is highly progressive, in practice, public pharmacies are often out of stock of essential medicines, with newer medicines not included in outdated drug formularies. Some are seizing upon the expanding role of the judiciary to advance women’s reproductive rights within the system. Among them is Paola Bergallo, a professor of law and attorney with the Center for Law and Social Transformation in Buenos Aires and current visiting fellow at Yale. Along with hundreds of thousands of Argentinian women, Bergallo and her team have worked through the judicial system to press for stronger laws concerning domestic violence and, of particular importance, the legalization of abortion. Bergallo describes her approach as “magical legalism:” feminist legal activism developing in an imperfect form of politics. Magical legalism can be understood as akin to magical realism; that is, Latin American narrative style embodied by Gabriel García Marquez’s “100 Years of Solitude,” characterized by “the matter-in-fact inclusion of fantastic elements into seemingly realistic fiction.” According to Biehl, Bergallo’s magical legalism creates possibilities for an equitable political future, the advancement of which is achievable through legal means in countries transitioning toward democratic regimes. Biehl described Brazil’s progressive AIDS policy as particularly consequential in informing the development of right-to-health. AIDS activists successfully equated Brazil’s constitutional right to health with access to pharmaceuticals, which consequently spread across a spectrum of other diseases. Today, Brazil’s constitutional right-to-health is understood as individual access to pharmaceuticals, in contrast to prevention and primary care. This shift means that public health in Brazil has become an increasingly privatized issue. Biehl drew on his own experiences doing research in Brazil’s southern state of Rio Grande do Sul, which saw a sharp increase in right-to-health related lawsuits between 2002 and 2009— from 1,000 new cases in 2002 to over 17,000 new cases in 2009. One woman, who lives with her taxi-driver husband in a shantytown in Rio Grande do Sul’s capital Porto Alegre, found out she was HIV-positive in 2002 and was able to access treatment for free at her local health post. In 2009, after experiencing other health issues, a doctor at the local health post prescribed her medication for pulmonary hypertension, which was not offered through the public healthcare system. Following her doctor’s advice, she filed a lawsuit through the public defender’s office. Similarly, one man— a retired bus driver who’d begun working at 8 years old— was diagnosed with hereditary cerebral ataxia in 2008. His medicine was unavailable through the public healthcare system, and at $200 a month, was driving him into debt. Like many others,he turned to the judicial system. A district judge then issued a court injunction on his behalf, securing him medicine for several months. When the delivery expired, he filed a new claim, ensuring three additional months of treatment. Stories like these illuminate the roles of different institutions in dealing with public health issues. The judiciary acted as a pharmacy, the public defender as a physician, the physician as an activist, the patients’ association as legal counsel, the patient-citizen a consumer, and cost-cutting public officers as leaders of anti-judicialization campaigns. Judicialization is thus a “significant mechanism of both accountability and responsiveness,” offering Brazilians a pathway for obtaining treatment in a public healthcare system with significant gaps. Brazil’s failure to wholly implement a robust system to fully ensure Brazilians’ human and constitutional right to health make the law the practical tool for litigants seeking inclusion within the public healthcare system, with which they may ensure that right for themselves.